As I’ve written elsewhere (A One Step Plan to Fully Fund your Campus Ministry), I think that Fellowship Dinners are THE best way to raise money for your college ministry. But it can be incredibly overwhelming to get the ball rolling on putting on a Dinner. The battle is won and lost on getting Table Hosts. In my first few years I would spend most of my time dreaming, hoping that a few high-capacity donors would come to the dinner. But in reality, the success of your dinner is really pretty predictable. It’s just like raising personal support. You calculate how much you need to raise and work backwards to figure out how many appointments you need to have and, consequently, how many phone calls you need to make this week. From what I’ve seen, for every 100 people you have at your dinner, you will raise around $20-25k. So let’s say your goal is to raise $50k. You’ll need 200 people there. 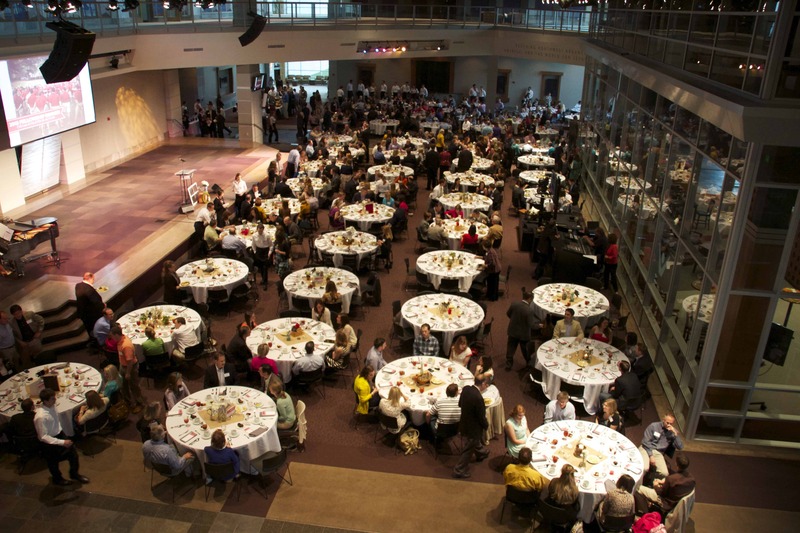 To get 200 people there, you’ll need 25 table hosts (8 people to a table). To get 25 table hosts you’ll need to ask at least 50 people to be table hosts. On our team, this year we’re asking 150 people to host tables. Our hope is that 60-70 will say yes. We don’t ask Table Hosts to “buy” a table. We are just asking them to take a step of faith to invite their friends to a visionary evening. Convince your team that recruiting new table hosts is a HUGE win for them. Because it is. Our staff LOVE inviting their supporters and friends to the dinner (and to be table hosts) because they walk away passionate fans of Cru. On our team, we ask every staff to recruit 3 new table hosts every year. We pay for our staff to take a potential table host to lunch. Each new table results in about $2,000 being raised. So a lunch is not a bad investment. Click here to see some talking points we use when we sit down to ask new Table Hosts.